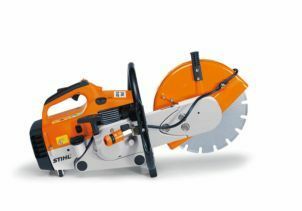 Easy to manage, powerful saw with decompression valve, compensator, long-life filter system and standard composite cutting wheels. Can be hand-held or mounted on a cart (FW). 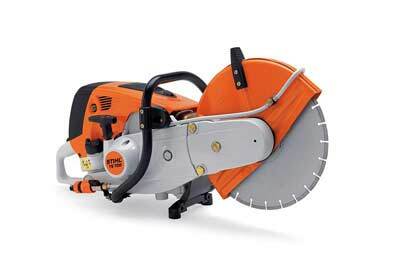 Light and convenient 3.2kW cut-off saw with a 350 mm cutting wheel for use on all types of jobs. The innovative long-life air filter system with cyclone air routing ensures an extremely long filter service life and increases service intervals. Thanks to its low vibration levels, working with it is less strenuous. Can be operated by hand or together with an FW20 cart. 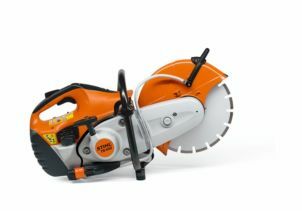 Powerful cut-off saw includes a long-life filter system with cyclone pre-purification, ElastoStart Plus and compensator and the new magnesium guard (as of June 2007). Water attachment and composite cut-off cutting wheel come as standard. Can be carried by hand or with an FW 20 cart. Powerful cut-off saw includes a long-life filter system with cyclone pre-purification, ElastoStart Plus and compensator. 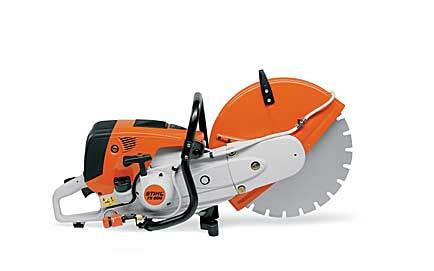 Standard features include water attachment and composite cut-off cutting wheel. Can be carried by hand or with an FW 20 cart.